Avene After Shave Balm is recommended in the case of sensitive skin prone to dryness. 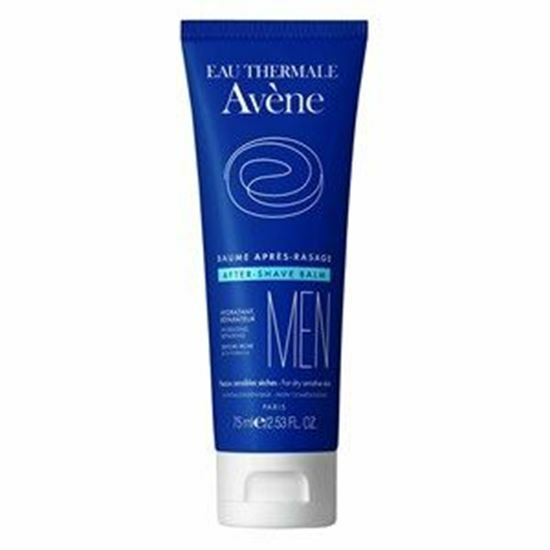 Rich in Avène Thermal Spring Water, it soothes the skin and reduces razor burn by providing an instant sensation of well being and remarkable freshness. Its formula contains a skin-repair active ingredient which promotes the regeneration of tissues left damaged by the blade and triclosan, a purifying agent which reduces shaving-induced bacterial risks. Rich in Avène Thermal Spring Water, it soothes and calms razor burn, hence leaving a sensation of well-being and immediate freshness. Thanks to moisturizing agents*, it leaves a delicate protective and softening film over the skin surface. Triclosan reduces bacterial risks related to shaving. Sucrafalte promotes the regeneration of tissues attacked by the blade. Avene Thermal Spring Water (Avene Aqua). Caprylic/CapricTriglyceride. Carthamus Tinctorius (Hybrid Safflower) Seed Oil (CarthamusTinctorius). Sucrose Stearate. Glycerin. Sucrose Distearate. Triethanolamine.Diethylhexyl Succinate. Aluminium Sucrose Octasulfate. Benzoic Acid. Bht.Bisabolol. Carbomer. Chlorphemesin. Disodium Edta. Fragrance (Parfum). Pca.Phenoxyethanol. Triclosan. Apply the After-Shave Balm to a thouroughly cleansed and towel-dried face and neck immediatly after shaving.